Visitors Insurance Ontario | Carlisle Insurance Advisor - Joanne Finucan - Secure 4 Life Insurance Inc. Whether visiting family or immigrating to Canada permanently, Secure4life can assist you, by covering emergency medical needs. 'Secure 4 Life Insurance' works with a number of top Insurance companies, including Manulife, GMS, Allianz (TIC), TUGO and other visitor insurance providers. 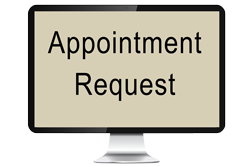 We will compare their visitor insurance plans and rates to make sure you are buying the best visitor insurance product in Ontario at the lowest price. Plans can include coverage for pre-existing conditions. Are you or your family immigrating to Canada? Sponsoring Parents or Grandparents? Whether it is visiting Canada for short stays or a long term stay on a Supervisa ‘Secure 4 Life Insurance’ can assist you with the best visitor insurance plan in Ontario. NOTE: The Canadian Government has a mandatory requirement of 365 days and $100k minimum of coverage for visitor insurance plans used in conjunction with a Supervisa. ‘Secure 4 Life Insurance’ is available to assist you with your Visitor To Canada Insurance. Full refunds available if the visa is declined. Heading South from Ontario for the winter? Make sure you are properly protected with the right policy that fits your unique needs. Emergency Medical Travel Insurance can cover things like Hospital accommodations, Physician Fees, Ambulances and Emergency air transportation. Most Companies have Eligibility questions as well as Medical rating questions that determine which rate category a person qualifies for. Need a plan that covers pre-existing medical conditions? It is very important to understand the Stability requirement that is built into the policy, under the Exclusions section of the policy wording. Let ‘Secure 4 Life Insurance’ put your mind at ease by finding you the best product in Ontario at the lowest price. We work with several of the top Canadian Insurance providers that, like us, specialize in Snowbird Travel Insurance, including Manulife, GMS, TourMed, Allianz (TIC), TUGO, Blue Cross and others. We will compare their plans and rates to make sure you are getting the best product at the lowest price. Your insurance needs are diverse and always changing, whether its family protection, income replacement, mortgage and debt coverage, key-person coverage or collateral insurance. Available for term lengths of 10yr, 20yr, or 30yr or even to age 65. Many plans offer the option to convert to a Permanent Product. Regardless of your situation and needs, you can count on ‘Secure 4 Life Insurance’ to help you customize the best-fit solution by working with the top Insurance Companies in Canada, including Manulife, RBC, Empire Life. Whether you are looking to buy visitor’s insurance, research visitors insurance providers, looking for snowbird travel insurance or term insurance, be sure to call ‘Secure 4 Life Insurance’. We cover all of Ontario and can help you find the right policy at the right price. Before you buy visitors insurance somewhere else, please contact us. 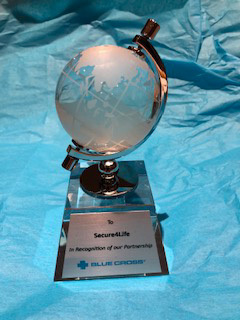 Secure 4 Life has been recognized as Top Insurance Broker in Ontario by Blue Cross! Click on the image to get a quote!